This week, this exploration is a little different, as I am out of Missoula for a few weeks! I used many modes of transportation this week – car, trolley, train, plane – and all of these took me around the country and the city. 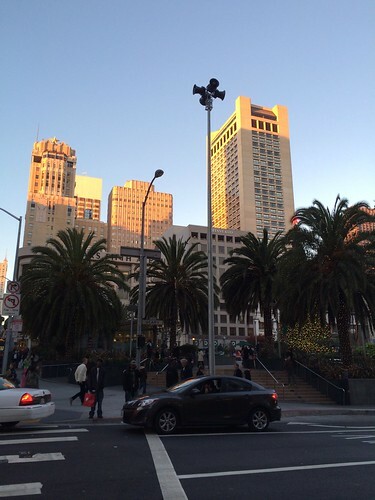 While here in San Francisco, I stayed in a hotel in SoMa (south of Market) where the AGU conference takes place. 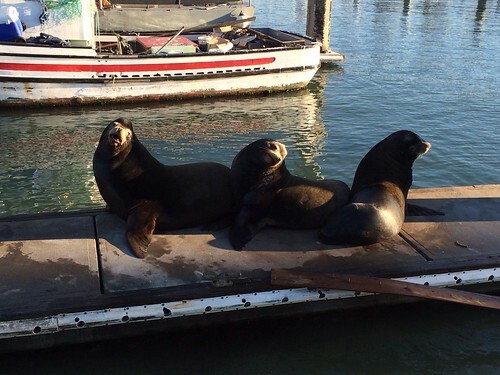 Throughout the week, I was able to visit the giant christmas tree/ice skating rink in Union Square, the sea lions while walking around Fishermans’s Wharf, and the Golden Gate Bridge/Alcatraz island from afar via a private-boat outing. 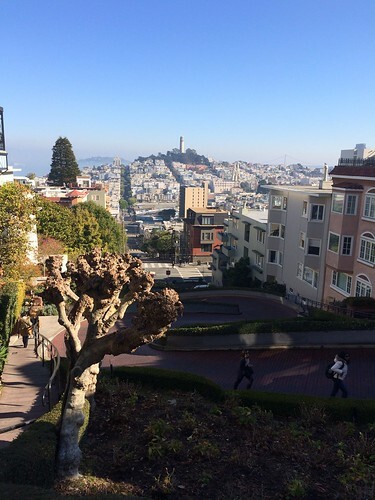 I also got to visit Lombard Street – one of my favorite landmarks in San Francisco – and got to hang out of the side of a cable car to get there! Photo from the top of Lombard Street! 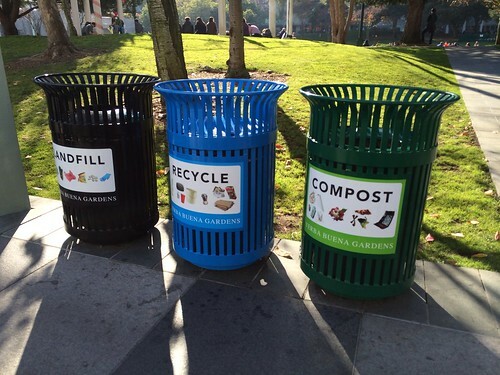 Throughout my visit, I noticed that there are three options for trash: recycling, compost, or garbage. These cans aren’t limited to just meeting spaces and businesses, but also are in public parks! I do have to wonder if they go through each bag to confirm that each type of waste is correct.. but still is a great option for waste! We should have that everywhere. Also, they are clearly marked for easy disposal, which we could work on throughout the US in general. 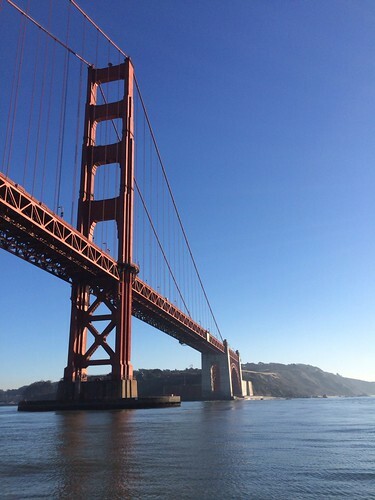 As with whenever I visit San Francisco, the streets are relatively clean compared to everywhere else I visit, but I regret to say that there was some trash floating on a small beach near Golden Gate National Recreation Area. This is likely due to the fact that there is a large volume of people going through that area (which is near Ghiradelli Square, Fisherman’s Wharf and Pier 39). Next stop: Coachella Valley! Keeping with the warm trend, I will be spending time in southern California, and will enjoy hiking in the desert mountains and visiting Joshua Tree National Park, as I did last year. All photos are from my iPhone, and to see more from the city, check out the “San Francisco 2013” set on my Flickr page! AGU 2013: Wednesday – Oral Presentation Day!